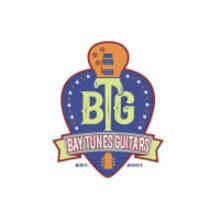 Welcome to the Official Bay Tunes Guitars store on Reverb! We are a premier guitar shop serving the Annapolis, MD area since 2001. We are an authorized dealer for Paul Reed Smith Guitars, Mesa Boogie Amplifiers, Martin Guitars, Ibanez Guitars, Blackstar Amps, JHS Pedals, TC Electronic Pedals, Earthquaker Devices, and much more. Providing top notch service while shipping high end guitars and amps around the country is our speciality! We use FedEx Ground for all shipments. Tracking information is generally available within 24 hours of a purchase, except on weekends. Shipments are always insured to the value of the purchase.